Senator Ted Cruz condemns rocket fire from Gaza toward Gush Dan in central Israel. US Senator Ted Cruz (R-TX) on Thursday condemned the rocket fire from the Hamas-controlled Gaza Strip toward Gush Dan in central Israel. 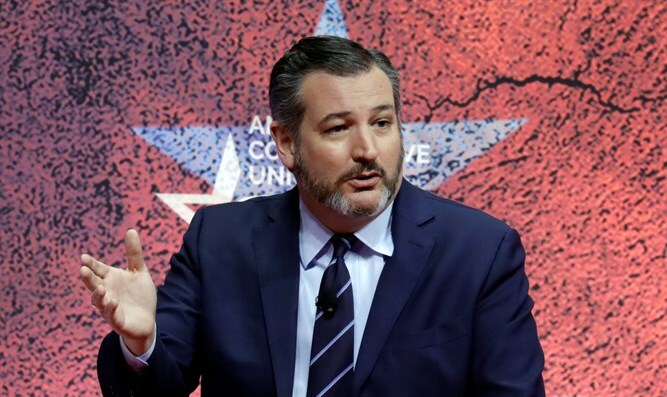 “The Iran-backed terror group Hamas is responsible for the unceasing attacks on Israeli civilians launched from the Gaza Strip, which the group rules and controls,” Cruz said in a statement. “I urge the Trump administration to robustly implement the Sanctioning the Use of Civilians as Defenseless Shields Act, which includes my legislation imposing mandatory sanctions on Iran-backed Hamas and Hezbollah for the use of human shields,” concluded Cruz. Jason Greenblatt, the US Special Representative for International Negotiations, condemned the attack as well. “Hamas violently suppresses its own people demonstrating against Hamas’ rule and failures today and NOW fires rockets at cities in Israel. OUTRAGEOUS! This is what prevents the world from helping the people of Gaza! We strongly support Israel in defense of its citizens. Always!” he tweeted. “Hamas and other terror organizations in Gaza continue to fail their people day after day & drag Gaza further & further down by constantly choosing violence. This method will never work. Ever! It will just continue to cause more suffering,” added Greenblatt in a second tweet.